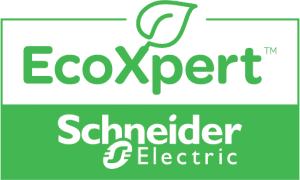 For the second year in a row, CRN awarded 5 stars to the EcoXpert™ partner program of Schneider Electric in their Partner Program Guide. It is again a great honor and token of success for the program, the team and most of all our partners who keep joining us on the road of customer excellence in a rapidly changing environment. Last year I pointed out three critical factors that, according to me, contributed to the 5-star accreditation in the 2017 CRN Partner Program Guide: 1) the Schneider Electric brand and the EcoStruxure™ technology, 2) our ongoing mission to connect our partners and provide them with everything they need to thrive and, most importantly, 3) the quality of the partners in the EcoXpert partner program. Even though it’s only been 12 months since the first 5-star accreditation, the 2018 Partner Program Guide recognition comes at a time where so much has evolved in such a short amount of time. Rapid change and how it affects us all for the better is the topic I would like to emphasize in this blog post of gratitude; looking back and at our partner journey ahead. The evolution in our business, of the EcoStruxure platform, in the customer and market reality of ourpartners, our strategy and across the technological innovations shaping the intelligent buildings of today and tomorrow accelerate and bring ample new opportunities. Change isn’t always easy and might seem to go so fast that it’s hard to keep up. That is the reason why it’s an even greater honor to be awarded in the CRN Partner Program Guide 2018. In the context of our mission “To connect expertise, ignite growth and enable success for our EcoXpert partners, because together we deliver best-in-class services and solutions to our valued customers” there is an increasingly important element of enabling our partners to be ahead in this race. The borders between various disciplines, technologies and solutions disappear while customers seek an integrated approach, making partnerships become even more important. The champions of tomorrow expand their knowledge, combine several skillsets and even EcoXpert certifications and/or forge the best partnerships with partners that complement their capabilities and enable them to deliver the end-to-end solutions and customized value their clients want together. Connecting the dots and being the company that offers the integrated platforms, state-of-the-art solutions and strategic alliances that makes businesses succeed as silos come down and customers want a holistic solution, is what Schneider Electric and the evolutions in our EcoStruxure technology are all about. Empowering our EcoXperts to benefit from this and become part of alliances while building their own networks and partnerships within the EcoXpert ecosystem is our commitment to new and existing partners. The Internet of Things (IoT) is a key enabler of it all, leading to ongoing convergence, new challenges, opportunities and changes in our EcoXpert program, among others on a training level. And it doesn’t stand on its own: advanced analytics, artificial intelligence and new standards and technologies in buildings enable us to unlock its true value. First, there is the Internet of Things as a business reality. Last year we started writing more blogs on the role of IoT in the EcoXpert partner program. The adoption of IoT has a major impact on all areas of our channel. It isn’t so much about the technology but about how it enables customers to realize value and how IoT is playing a key role in ongoing integrations. Yet, most of all it’s about you, the partners. It’s as the Global VP of EcoXpert, Nicolas Windpassinger whom I thank for his vision, said in an interview with CRN: “it’s not about technology, it’s about transforming partners to expand their expertise and better enable them to tap into opportunities around IoT.” Increasingly, we can add other technologies to that as Nicolas often writes on his personal blog. Next, there is the mentioned disappearing of silos and ongoing integration. Earlier this year we were recognized by independent research and consulting firm Verdantix for our capabilities and market momentum in facility optimization. As I wrote in a blog post, Verdantix sees the convergence of information technologies and operational technologies (with again the role of IoT), coupled with the convergence of software for energy and asset management as a catalyst for dismantling building operational silos and driving the optimization of facilities performance. The resulting shifts are tokens of how solutions converge and facility managers and building owners influence our strategy and that of our partners in this increasingly-converging environment. Then, there are these new technologies that keep changing the face of buildings, driving new opportunities in building automation and affecting our partners. Last year our EcoXpert BMS certification owner, Martin Feder, wrote how IP ad IoT are moving to the field level of buildings and will meet cognitive technologies. Today, artificial intelligence is changing the possibilities in several buildings such as healthcare facilities, enabling pro-active maintenance. Or take the impact of the new PoE standard and how it connects the cabling and building management level as Xavier Renard explains in an interview, emphasizing our integrated approach even more. Or think about how the verticalization of energy and IoT within our electrical distribution systems opens new opportunities for power management and power control beyond ‘metering’ as Kevin Morin writes, calling for power management system integrators in a fast changing market. The list is long and new opportunities are on the horizon. Soon you will read more about the new PoE standard and LiFi on this blog. You’ll discover a brand-new partner site. Other partners will join our ecosystem. Training programs will evolve. And we’ll be there all the way to make you benefit from additional alliances and changes on the front of our solutions. Forging the right partnership and having the right integrators and channel partners has become even more important than before: for us, our partners and your customers. Evolving, learning, exchanging ideas and best practices, collaborating, innovating together and realizing the amazing projects that so many partners keep doing, several of which mentioned on this blog. Each customer and business is unique, and offering the best solution for the individual customer is not just about IoT and integrated technologies: it is about the best team with the best partners for the best outcomes. So, join us on this adventure and let’s grow your business and that of your customers together. Thanks to all our EcoXperts! 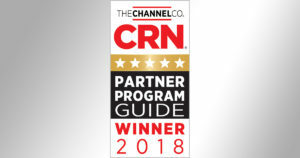 More about the CRN 5-Star rating in the CRN Partner Program Guide 2018. See you soon at one of our events or meetings across the globe and stay tuned as our new partner website is taking shape. Not an EcoXpert yet? 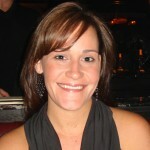 Learn all about the EcoXpert partner program here.